Spike Lee's American adaptation of Park Chan Wook's modern classic Old Boy came and went from my local cinemas faster than any theatrically released movie in recent memory. Apparently it was just so financially disappointing and critically reviled that it lasted barely a week before being consigned to the dustbin of soon to be VOD trash, and since I'm the guy who just had to see the Oogie Loves movie and InAPPropriate Comedy after hearing how bad they did at the box office, catching up with this was a no brainer. Add to that my unabashed love for the original film and intense skepticism of Lee's acumen for this kind of story, and there was no way I was going to pass up a chance to see this at some point. Well, now I have, and I can officially tell you that as you might have expected, it was not in any way worth the effort. 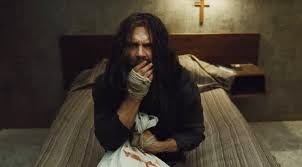 Hopefully you've seen the original film and know the story, but if you haven't, Old Boy follows a man imprisoned in a makeshift hotel room for 20 years, then mysteriously released and set on a quest for vengeance against the man who imprisoned him, all while unknowingly falling into his enemy's elaborate trap. Its hard to go into any more detail without spoiling it, but surprisingly easy to explain the plot of both films, which are more similar at least in structure and narrative than I would have thought possible. The original film deals with a lot of subject matter that one would think would have to be changed to be made palatable to an American audience, so much in fact that the very idea of remaking the movie for America at all seemed suspect at the start, but amazingly, most of what I thought would be found objectionable remains, albeit in a much more poorly executed fashion. The biggest change is in the ending, but not the part you might think if you've seen it. The skeevy reveal of a sexually unnerving final plot twist remains mostly intact, with only the much more ambiguous post script made more logical and by extension less impactful. Beyond this the only real changes to the story are on the margins, and even then the aspects that have been removed or tweaked are all referenced in one way or another. 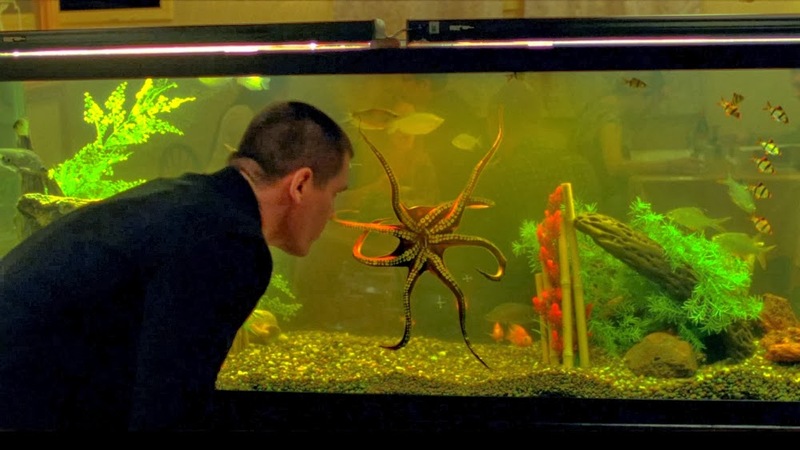 A pivotal scene involving the removal of a tongue is taken out, but another severed tongue takes its place, and the squid scene is excised, but a squid appears nonetheless, as if to apologize for its exclusion. 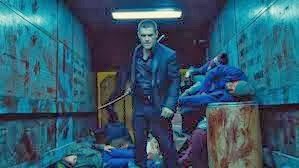 One minor change to a torture sequence might actually have been an improvement at least insofar as it seems like a more painful experience than the original depicts, but then I don't want to fall down the rabbit hole of trying to suggest this movie is in any way superior to its source material. 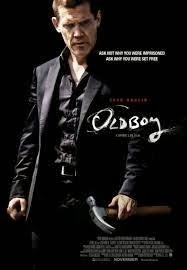 Old Boy, the remake that is, is defined more by how badly it fails to be like the original than by its few attempts to distinguish itself. A notable example is the famous videogame inspired fight scene in the factory, which is redone in such a boring and perfunctory way that you want it to end almost as soon as it starts, which is so far removed from the scene that inspired it, which is engaging enough to justify an entire movie of just that sequence. The majority of the movie goes through the motions of telling this story and gets the beats mostly right, at least to the point where it makes sense and you can follow along, but there's no passion behind any of it. Its a paycheck movie if I've ever seen one, and at the risk of coming across as a pretentious nerd (probably too late on that one), this seems like material that is just a bit too sacred to amount to so little. Spike Lee is one of those director's whose voice is so unique and personally his own that its as hard to miss as it is to replicate, but his style and skill is practically invisible here. If I didn't know it, I would never have guessed he'd had any involvement, and in retrospect it seems like such a waste. Not that everything he does has to be socially conscious, but its so surprising and saddening to watch a Spike Lee movie that doesn't bother to say anything, and until now he's never struck me as a director who would care enough about mainstream acceptance to produce something this shallow. I'm hesitant to use the phrase "sell out" if only because its kind of lost all meaning in the age of corporations owning everything and everyone (see The Lego Movie), but when one of the few remaining independent people in Hollywood so readily joins up with the rest of the uninspired pack, I can't think of a better term for it. Josh Brolin does his best to try and capture the American version of this enigmatic character, enough that its clear he's there out of a genuine love for the original film, but there's only so much he can do. In many ways, this story just doesn't work as well in an American context, and while I prefer a more direct translation to a heavily altered interpretation, I'd prefer even more that they just not even do this at all and leave a classic to its own devices. What suffers most in the cultural shift is the villain, played by Sharlto Copely as the kind of obscenely rich creep who can move mountains with his money, and his performance is just laughably bad. Its not just him though; the character doesn't seem to fit as well in this world. The tone is a little too grounded, a little less whimsical, and what was once an elaborate O Henry-esque scheme becomes a convoluted and much too silly contrivance punctuated by gore for the sake of gore. 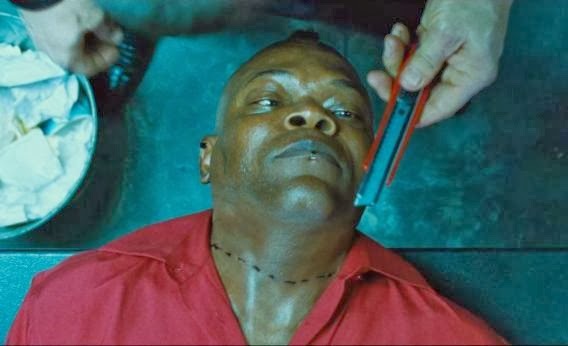 Spike Lee's Old Boy is the American version of Park Chan Wook's Old Boy in every sense of that term and with all the pejorative intent that it implies. It is American in its lack of subtlety and nuance, its hollow lifeless expression of raw emotion, its shameless and lazy replication of a foreign sensibility, and most importantly, its substitution of dull by the numbers fluff in lieu of actual passion and a love of the craft of filmmaking. Its attempts to cater to a mainstream audience and justify its own existence begins and ends with having white people in it and removing the subtitles, which makes Spike Lee's attachment to the project even more ironic and depressing. Next time a movie spends so little time in theaters that it piques my morbid curiosity, I can only hope that someone will do the right thing and remind me of this debacle, so I won't get into this mess again.